Ford’s electronic line-lock system is arguably one of the coolest features of the Mustang GT, and it is now being extended to the entire Mustang lineup. For the 2018 model year, Ford is offering this feature on all ‘Stangs – from the entry-level turbocharged 2.3-liter four-cylinder EcoBoost with a six-speed manual transmission to the 5.0-liter V8 GT with the new 10-speed automatic transmission. Most muscle car owners and enthusiasts can vouch that doing a tire-smoking burnout is not initially as easy as it looks in movies or Youtube clips. Ford’s unique line-lock system gets rid of the unnecessary complications and grants everyone the opportunity to feel the adrenaline from a mean burnout without being a professional. Line-lock is a feature primarily used by drag racers ahead of the starting line as a means of heating up their tires to gain improved traction for the race. This system aids in maintaining pressure on the front brakes while easing off on the rears, as well as keeping the car in place while the back tires “burn.” To put it into perspective, the line-lock builds pressure in the front brake calipers and locks the front wheels. For the next 15 seconds, the driver can mash the throttle and begin to spin the rear wheels without their vehicle skidding away. These days, even beginner drivers can hop behind the steering wheel and pull a video-worthy burnout with no fear of burning up their clutch. 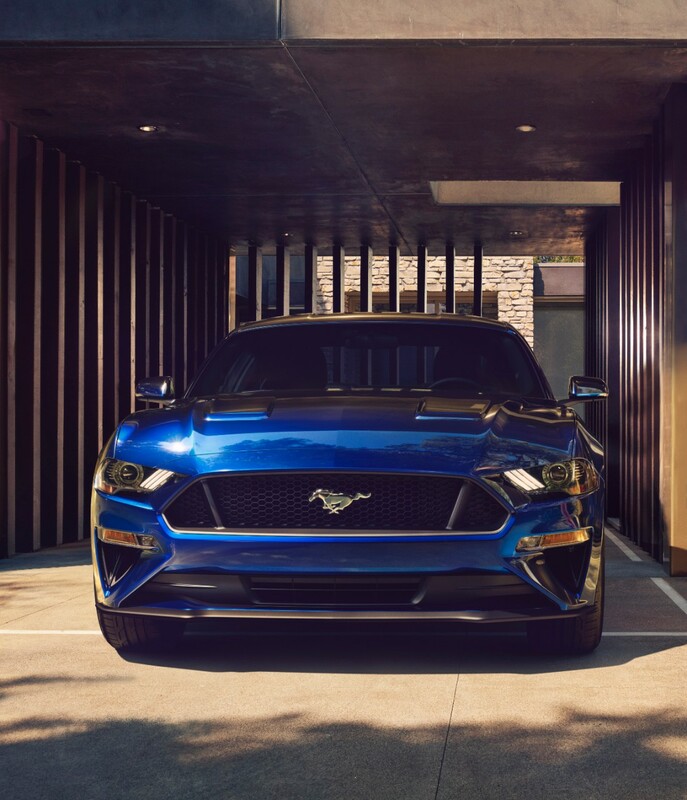 “We introduced line-lock on EcoBoost Mustangs because we didn’t want those customers to miss out,” said Mark Schaller, Ford Mustang marketing manager. 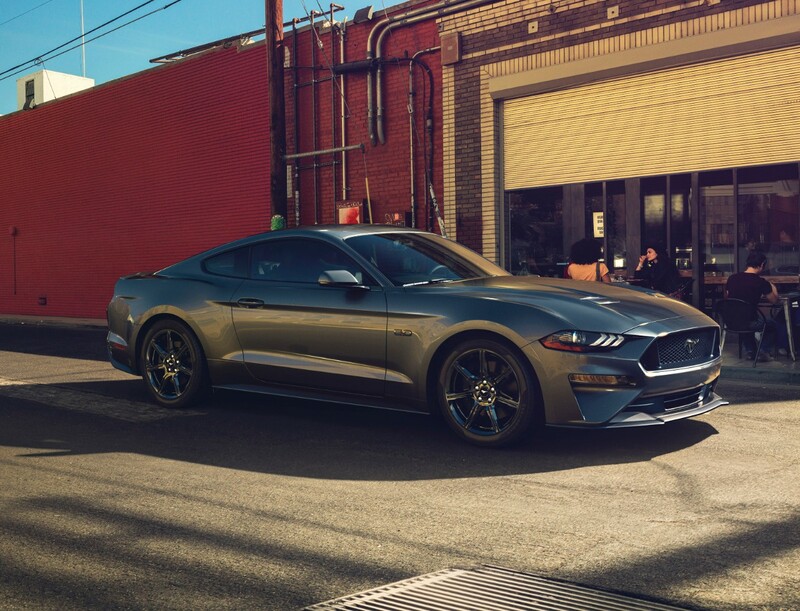 “The number of people choosing EcoBoost power continues to grow… with the increased torque and new features coming on the new Mustang, customers will not be disappointed.” This is a pretty rad idea because now you can burn rubber no which model you choose, even with a rental Mustang! Who wouldn’t want to still have fun while their car was being taken care of?! Ford made a video featuring Formula Drift champion Vaughn Gitten Jr. to show just how fun this new feature can be. Check out the clip below to watch Vaughn surprise unsuspecting pedestrians with the chance to try the new 2018 Mustang EcoBoost with line-lock on the track. You can see just how easy spinning the tires was for these novice drivers as they just pressed a few buttons and felt the fury unleash from the beast.